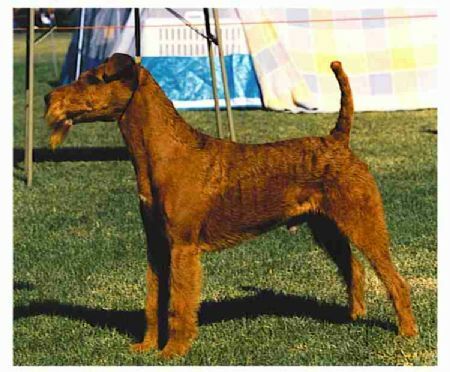 Over the years I have had the pleasure of being involved with the wonderful breed THE IRISH TERRIER. My first introduction to Irish Terriers was when I was a very young girl and my parents introduced one to the family. Muffin was his name and he had such a wonderful personality and character. He followed my brother and I everywhere we went. He joined in on our games and mischief with great enthusiasm and got into as much trouble from mum and dad and we did!!! After Muffin passed on we had to have another Irish of course and Shamus came into my life. Another lovely dog. 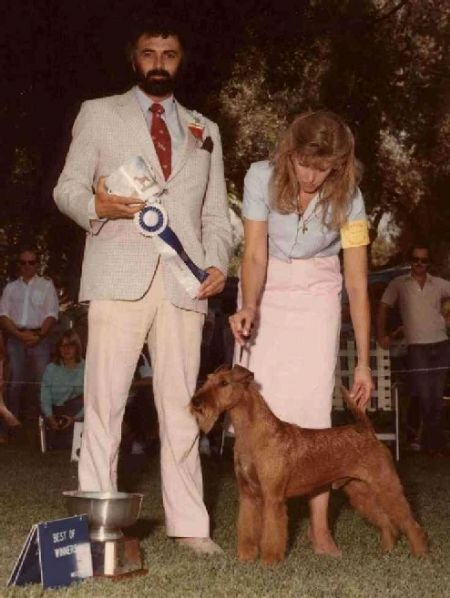 When the time came and I left the nest, so to speak, I decided I had to have another Irish Terrier and purchased Carnlough Dun Finnian in 1971. It was then that I was well and truly bitten by the bug and have been breeding and showing Irish Terriers ever since. I am particularly grateful that some of the world’s leading breeders entrusted me with their dogs and that I could make these dogs available to breeders in Australia. 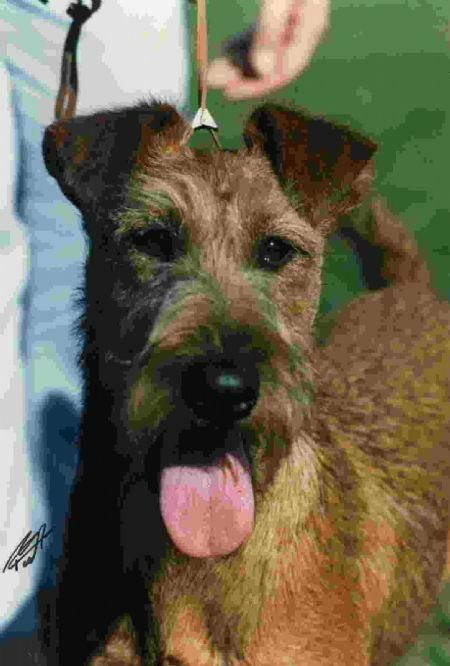 You can see some of the Irish Terriers I have owned and bred over the years and up to today by looking at the other pages on my web site. While the show ring has been important to me it has not been my driving force. Breeding healthy, sound, well put-together dogs with beautiful, trustworthy temperaments is my greatest joy. 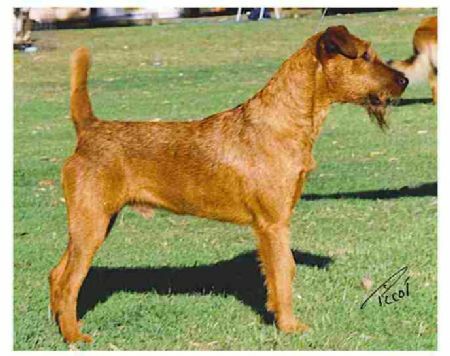 It is so rewarding being able to provide another, and yet another, Irish Terrier to someone who bought one from me 30+ years earlier and have had them live for 15+ years. A good sound pedigree. As mentioned above I have imported dogs from some of the greatest kennels and I continue to breed along these lines. Fortunately, here in Australia, we have breeders who really care about the good health of the breed and some have also been able to import from overseas. This has helped keep the gene pool in Australia from getting too small and has meant that we are able to continue to breed sound healthy puppies. These other breeders are prepared to allow their stud dogs to be used and I will continue to go out of my lines when and if necessary to keep my breeding as stong and healthy as possible. After sales service. I am always happy to provide as much information as possible to new owners be they pet or show. My experience is vaste and I am happy to pass on what I can at any time. Microchipping. All my puppies are now microchipped before they leave the property. This is a lifetime registration with the Australasian Animal Registry and is included in the price of the puppy. Innoculation. All my puppies are innoculated at 6 weeks against parvo-virus, hepatitus and distemper. Worming. By the time the puppy leaves my property it is thoroughly wormed and I provide advice on the continued worming of the puppy to adulthood and thoroughout its life. Older dogs. Sometimes an older dog may become available. I am happy to provide an older dog to the right home. All prospective owners are vetted just like my puppy buyers. If wanting an older dog it could be quite a wait though. Grooming. I am happy to show new owners how to groom their puppy and to provide information on general grooming and upkeep of their dog. 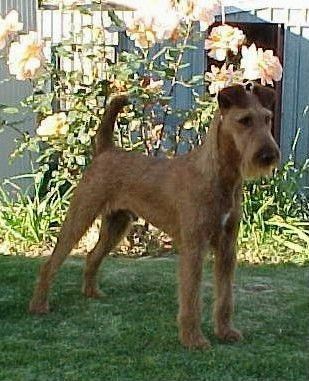 I can also recommend groomers who are prepared to hand strip an Irish Terrier or alternatively clip one if necessary. Rescue. I am prepared to re-home unwanted Irish Terriers. Fortunately we find that this happens very rarely but should it be necessary I am there to help. For further information about the breed please contact Liz Walmsley by email or by phone on (08) 9398 5354 (Western Australia).